City’s Professor of Security Engineering, Professor Muttukrishnan Rajarajan and his team lead the social media data work stream of the RED-Alert Horizon 2020 research and innovation project. Professor of Security Engineering, Professor Muttukrishnan Rajarajan, and his City-based team are playing a leading role in the RED-Alert research and innovation project funded by the European Union’s Horizon 2020 programme which is aimed at developing new online content for monitoring and analysis tools to fight terrorism. Professor Muttukrishnan says that he and his team of researchers "will be analysing social media data in a privacy-preserving manner, classifying it in an encrypted domain using homomorphic methods". He also said that the social media data collection methodology used by his team will be General Data Protection Regulation (GDPR)-compliant. 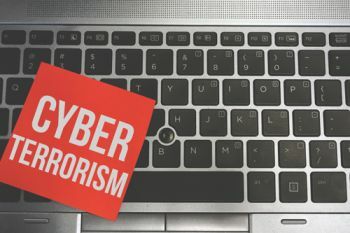 Extremist and terrorist groups use the Internet for psychological warfare, propaganda, recruitment and misinformation, with dramatic consequences for European citizens. 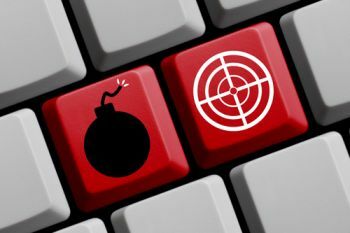 Social media and online communication channels have increasingly become the primary tools for terrorist groups to reach out to vulnerable individuals and prompt them to action, resulting in over 40 terrorist attacks on European soil since 2015, all of them perpetrated by radicalized individuals. RED-Alert attempts to bring together the best in European research and innovation to fight terrorism with a consortium of 16 organizations from 8 countries, including 6 European law enforcement agencies, supported by Europol’s counter-terrorism unit. The project starts in June 2017 and will last 3 years. Homomorphic encryption is the conversion of data into ciphertext that can be analyzed and worked with as if it were still in its original form. Homomorphic encryptions allow complex mathematical operations to be performed on encrypted data without compromising the encryption. In mathematics, homomorphic describes the transformation of one data set into another while preserving relationships between elements in both sets. The term is derived from the Greek words for "same structure." Because the data in a homomorphic encryption scheme retains the same structure, identical mathematical operations - whether they are performed on encrypted or decrypted data - will yield equivalent results.